Leaked budget documents show that the Trump administration transferred almost $10 million from FEMA to ICE, the agency at the forefront of Trump’s family separation policy. That’s money meant for disaster relief – like hurricanes – funneled directly into Trump’s inhumane child detention and deportation machine. This news came just days before one of the worst storms in decades was set to make landfall on the East Coast. 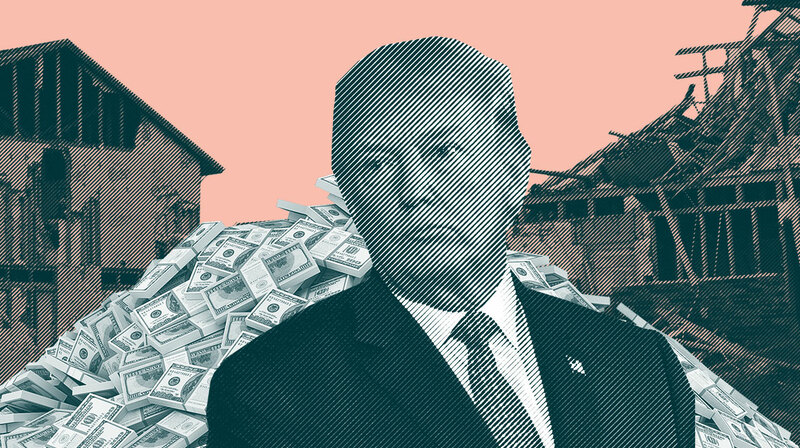 Trump already has a tragic track record with last year’s Hurricane Maria, which claimed the lives of almost 3,000 Americans in Puerto Rico – and that was before he redirected much-needed relief money to ICE. ICE is one of the most brutal and lawless agencies operating under the Department of Homeland Security, the Trump administration’s key tool for terrorizing immigrants. Along with U.S. Customs and Border Protection, ICE is responsible for enforcing Trump’s inhumane family separation policy and inflicting lifelong damage on thousands of children. And now ICE is getting a raise – at the expense of life-saving disaster relief. It’s no secret that Trump is trying to ramp up detention and deportation, and he wants to use even more of our taxpayer money to do it. DHS is seeking a huge budget increase in the next appropriations bill. If Congress passes it, we could see immigrant abuses on an unprecedented scale. The leaked document specifically requests taking money from FEMA’s “Preparedness and Protection” and “Response and Recovery” efforts and funneling it toward detention beds and deportation. With this money, DHS is already getting a head start on plans to hold families in detention centers indefinitely. This is dangerous: Hurricane season is in full swing. Add your name now to tell President Trump that diverting money from hurricane relief to ICE’s abusive treatment of immigrants is shameful – and we won’t allow it to continue. Your decision to funnel money from FEMA to ICE will risk millions of lives – in the middle of hurricane season – to fund the detention of children and families your administration has torn apart. We will not tolerate – and we will not forget – the extent of your cruelty.